Nature produces diamonds in a range of colors from white (colorless) to black, and everything else in between. We have in the recent past focused our development and design efforts on the selection and production of fancy color brown diamonds. These diamonds come from nature in an astonishing range and intensity of colors and we never treat or enhance them in any way. We simply select the finest material and design and manufacture the jewelry that we believe will best enhance and complement the natural color of these diamonds. We offer a number of bracelet styles featuring fancy color brown diamonds, and hand and body jewelry to match. 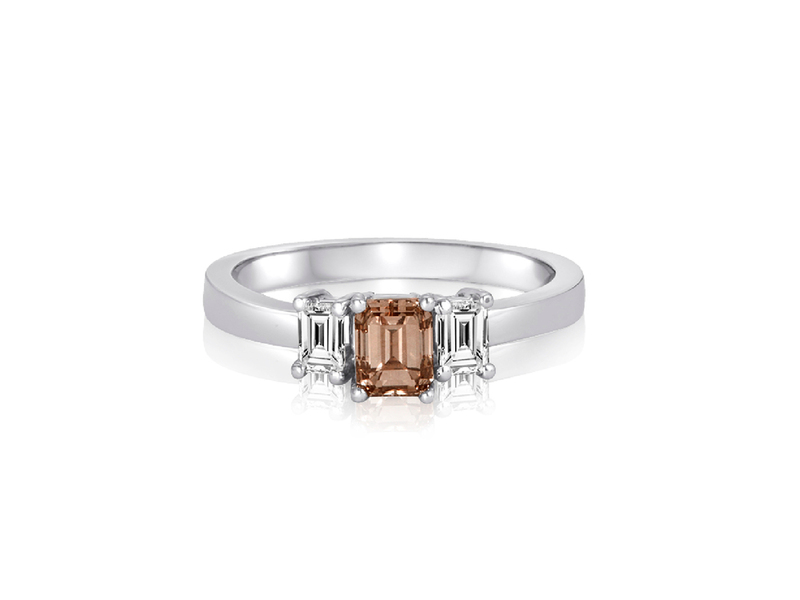 Please note that these diamonds are unique, and therefore the colors we have featured in our jewelry on this page are not necessarily repeatable.